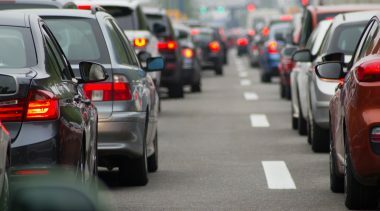 Like most states, Georgia faces a major challenge in delivering future transportation infrastructure given the declining purchasing power of the federal gas tax, the rising maintenance needs of an aging highway network and the increasing costs of construction materials. Georgia spends a majority of its gas tax revenues on maintenance; finding sufficient money to build a transportation system fit for the 21st century is very challenging. The Georgia Department of Transportation (GDOT) and State Road and Tollway Authority (SRTA) have embraced a managed lanes network plan as the best way to use existing resources and reduce congestion on metro Atlanta interstates and freeways. There are different types of Managed Lanes. High-Occupancy Vehicle (HOV) lanes allow vehicles with a specified number of occupants [usually 2 or 3] to use the lane while High-Occupancy Toll (HOT) lanes allow drivers who pay a toll to use the lane. All transit vehicles may use HOV lanes for free and all registered transit vehicles may use Georgia’s HOT lanes for free. Express Toll Lanes (ETL) provide an option for all users to pay for the convenience of using the lanes. The current plan was approved in 2010 and is being implemented across the region. In March 2013, Reason Foundation Transportation Policy Analyst Baruch Feigenbaum interviewed GDOT Deputy Commissioner Todd Long, incoming SRTA Executive Director Chris Tomlinson and SRTA Director of Operations Steve Corbin to discuss the concept of Managed Lanes, current operations and future plans for the network. Baruch Feigenbaum, Reason Foundation: Many metro areas across the country are studying and implementing Managed High Occupancy Toll (HOT) Lanes as a way to reduce congestion. What are the principles behind a HOT Lane Network and why is it appropriate for Atlanta? Todd Long, Deputy Commissioner, Georgia Department of Transportation: Due to right-of-way costs we cannot continually widen highways. And in a growing metro area like Atlanta, new unpriced highway lanes will quickly become congested again. This principle called induced demand limits the effectiveness of adding general-purpose lanes. When complete, the Managed Lanes Network will offer another option for users and a reliable travel time throughout the metro area. 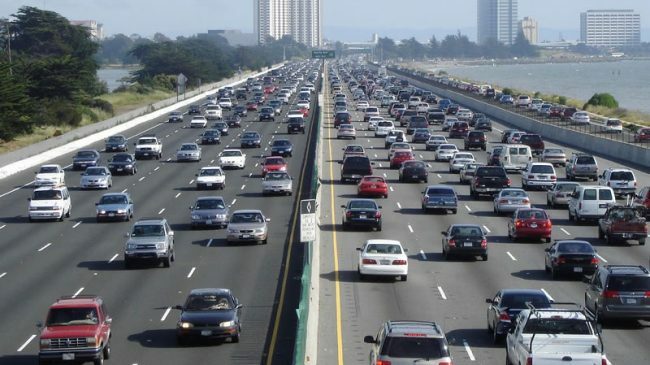 These managed lanes can offer this reliable travel time 24 hours per day for many years in the future because their tolls increase or decrease based on congestion in these lanes. Building a complete network is important because Atlanta has at least 10 distinctive employment centers. We need the entire network to provide reliable connections between residential locations and these centers. Chris Tomlinson, Incoming Executive Director, SRTA: Metro Atlanta has significant congestion issues. As Atlanta continues to grow economically, congestion will become much worse. Although GDOT has eminent domain powers at its disposal, taking land for improvements is never popular. Additionally, it is not a realistic solution because of constrained funds and induced demand. GDOT realized that the combination of growing demand, limited funding, and lack of right-of-way made continuing on our current path of traditional road widenings unsustainable. So staff recommended that the State Transportation Board adopt a Managed Lanes plan. In 2007, the board adopted the Managed Lanes plan in which any additional capacity in metro Atlanta is to be “Managed.” Managing, or in this case pricing, capacity can help control congestion and increase reliability. 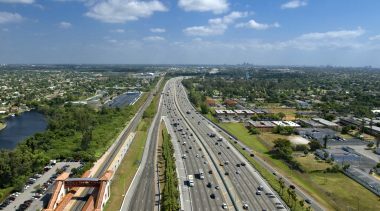 The network primarily relies on adding new priced lanes; however, in limited situations it considered converting existing lanes. When we considered a conversion we examined both performance of the corridor and accessibility of the lane. The first project, the I-85 demonstration project, was a conversion project. In 2008, Georgia received a $110 million Congestion Reduction Demonstration (CRD) Program Grant to Atlanta. The U.S. DOT grant led to the implementation of the existing I-85 Express Lanes, enhanced transit service in the I-85 corridor and innovative tolling and enforcement technology. All of the projects that we are currently working on add new (i.e. additional) capacity managed lanes, instead of conversions. Feigenbaum: Does the network have to be priced? Did metro Atlanta consider a (HOV) network? Long: The plan started as an HOV network, in 2000, before High Occupancy Toll (HOT) lanes became necessary. After conducting revenue studies, we determined that there was neither sufficient funding nor projected demand to justify building an HOV network. While the HOT network has higher user forecasts and more forecast revenue, total revenue is not quite sufficient to fund the project. Working with the private sector and using Public Private Partnerships can provide 20-25% of the total project costs. The best solution is a Managed Lanes network that utilizes PPPs. Feigenbaum: What are the specific benefits of tolling or managing a lane? Long: For the I-85 lane specifically, data shows a slight reduction in the travel times in the I-85 general-purpose lanes but over time the general purpose lanes have returned to about the same level of congestion as before the HOT lanes were installed. However, the managed lanes now offer a reliable trip for cars and buses compared to the previous HOV lane where there were significant delays. One of the biggest improvements in the corridor has been to transit service. Both the number of buses and total ridership have increased as a result of the federal grant and new managed lane. Both the regional transit agency Xpress and local operator Gwinnett County Transit (GCT) have increased service, which is exactly what we hoped. Tomlinson: The number one goal is for the lane to provide a predictable and reliable trip for both auto and transit users. Our customers highly value this benefit and are willing to pay for this higher level of service. Feigenbaum: Is the I-85 lane different from other HOT Managed Lanes? Have there been any issues with customers being charged the wrong toll? Steve Corbin, Director of Operations, SRTA: SRTA has a special program to monitor reliability. If something happens in the lane that significantly affects motorists such as an accident, we have the ability to refund or waive a portion of the customer’s trip or waive a violation. This is used to address some special circumstances unique to having a non-barrier separated HOT facility. We are the only non-barrier Managed Lane in the U.S. to offer such a program. Our goal is to be the number one customer-centric tolling agency in the country. Occasionally a customer will have a payment issue. One of the best tests of whether or not we are providing good customer service is if we resolve the customer’s problem. For example, during the past calendar year we have had only a few customers who notified of us an issue with the price they paid for the Managed Lanes. All were resolved to the customer’s satisfaction. We believe providing this level of service is the best way to find new customers. Feigenbaum: When GDOT and SRTA were planning the I-85 conversion project, did you look at other states and regions? Which metro areas offer similar situations to Georgia? Tomlinson: We looked at all 10 managed lane projects taht proceeded I-85, as well as some of the proposed Managed Lane plans for major metro areas such as Los Angeles, Virginia and Miami. However, since I-85 was a conversion project and not new construction it is most similar to I-35W and I-394 in Minneapolis and SR 167 in Washington State. Like the Minneapolis and Seattle projects, I-85 lacks a physical barrier. Corbin: One of the major issues for all electronic-toll-collection systems is enforcement. Developing an effective enforcement program was a primary goal. In Georgia, the consequence for not paying a toll is a civil violation. If a motorist accrues sufficient violations and does not make payment in a timely manner their vehicle registration may ultimately be suspended as a matter of law until the motorists pays the unpaid tolls and fees. This action occurs only through a hearing and issuance of an order by a state administrative law judge. Feigenbaum: What are GDOT’s and SRTA’s responsibilities for the Managed Lane projects? 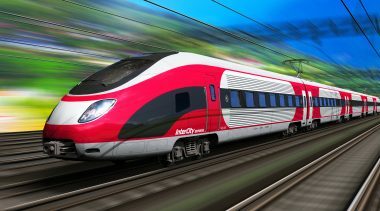 Does the Georgia Regional Transportation Authority (GRTA) have specific duties? Long: GDOT handles all traffic operations and road maintenance. We also repair damage to civil infrastructure. For example, if an accident damages the pavement, we are responsible for fixing the pavement. GDOT also operates the Highway Emergency Response Operators (HERO) program, which offers towing, tire-changing and other emergency services to vehicles in the corridor. More importantly, HEROs help with traffic incident management to clear all lanes more quickly. Tomlinson: SRTA operates the toll road system including the transponders, posts the information to the rate sign, sets the tolls, enforces and collects all toll monies. GRTA operates and funds the express bus service in the corridor. GRTA also funded the new park and ride lots that were built along the corridor. Feigenbaum: How many people are currently using the I-85 managed lane? Is use at the projected level? Long: Usage has been terrific. It has exceeded the initial projections. Many people around the country are familiar with the rocky launch. There were issues we had to fix including a modification to the price calculations and weaving in and out of the managed lane. Both problems were addressed in the first few weeks. We also had several accidents in the corridor during the first two weeks that made for a challenging opening. From my perspective, the media’s reporting of the situation far exceeded the actual conditions on the ground. Tomlinson: The latest traffic counts for non-holiday months show a weekday trip average of over 18,000. Average monthly usage has continued to increase and toll rates have increased in accordance with the increased demand. Increasing toll rates is one of the indicators of growing lane use. We continue to distribute Peach passes [small thin electronic toll collection device that adheres to a vehicle’s windshield]; we have issued more than 220,000 passes so far. Feigenbaum: Clearly the opening month, especially the first week was rocky. Can you describe the issues in the opening month in a little more detail? Is the issue psychological? Are Georgia residents simply not to use to paying tolls like residents of the northeast and Florida? Tomlinson: Tolling is a relatively new phenomenon in Georgia. GA 400 (and previously the Torras Causeway) have tolls, but that only affects a very limited part of the geography of the state. Compare that to states such as Florida or Texas, which have had tolling for well over 50 years. 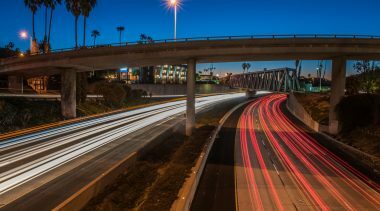 It takes both an educational effort to understand the potential benefits of tolling and a cultural switch to adjust to tolls. Drivers who are used to “free” roads are hesitant to accept tolling. 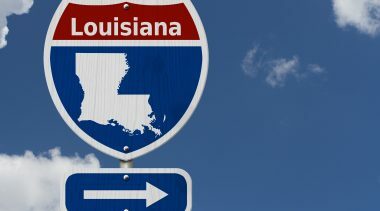 In some of these other states where there is greater acceptance of toll roads, it is attributed in part to the fact that they have 2 generations of drivers who have always had toll roads as part of their highway system. The launch was rough. Our initial toll rates the Monday of the launch were too high. The dynamic pricing algorithm placed too much emphasis on the congestion in the general purpose lanes and not enough emphasis on the light volume in the express lane. Many people wanted to use the lane but did not have Peach Passes. The combination resulted in relatively empty lanes. We needed to make adjustments and we quickly did. Feigenbaum: Atlanta has a managed lane network plan written by HNTB [a Kansas City-based architecture, civil engineering consulting and construction management firm]. What are the next projects to be implemented? Long: There are several projects. We are currently extending the I-85 lane from Old Peachtree Rd to Hamilton Mill Rd. We are also building 2 reversible Managed Lanes on I-75 south from SR 155 to the I-675/SR 138 area. We hope to have this project under contract later this summer. Lastly, the I-75/I-575 North project is the largest of our efforts. This project will add two reversible lanes on I-75 and one lane on I-575. Bids for that project open in April and a record of decision is expected by next January. We plan to start construction next year; we estimate that project will open in late 2017 or early 2018. We have several other corridors we are looking at for the future. SR 400 and I-285 from I-75N to I-85N are the next two. Currently, we lack funding for either of those projects. All of these managed lanes projects will add capacity. Tomlinson: We are making several other changes for the new Managed Lanes projects. Since the Northwest corridor and I-75 South are barrier separated projects, they will be operated slightly differently. First, the pricing conditions will be based more heavily on traffic conditions in the express lanes. These barrier-separated managed lanes will be free for transit vehicles but require all cars to pay. There is no occupancy-based requirement, so carpools will not qualify for free or discounted trips on the Northwest corridor or I-75 South projects. One of the primary goals for all our managed lanes, both existing and planned, is providing a choice to customers. We realize that most people will not choose to use the managed lanes everyday, but when they are rushed for time we want them to know that the Managed Lanes are an option. Long: One important issue to understand is that both GDOT and SRTA are needed to build and maintain the managed lanes network. It is a check and balance system. Only GDOT can designate a highway as a toll road and only SRTA can operate it. We are in the process of updating our Managed Lanes plan based on what we have learned. Todd Long was named Deputy Commisioner of Georgia Department of Transportation in 2012. Prior he served as GDOT Director of Planning. Long has a Bachelor’s and a Master’s Degree of Civil Engineering (Transportation) from the Georgia Institute of Technology. Long is a leader of the Georgia Chapter of the Institute of Transportation Engineers. Chris Tomlinson was nominated to become the new Director of the Georgia State Road and Tollway Authority in March of 2013. Previously, Tomlinson served as Deputy Director and General Counsel He has a Law Degree from the Georgia State University College of Law. Tomlinson has substantial experience in Contract and Public Procurement Law. Steve Corbin is the Director of Operations at the Georgia State Road and Tollway Authority. Previously he worked for the Tampa Hillsborough Expressway Authority. Corbin is a recent participant in the International Bridge, Tunnel, and Turnpike Association’s 2013 Leadership Academy and has been an active member of the Transportation Research Board.